If you work from home or spend a lot of time on the road without a fixed office to call ‘home’, planning a meeting can be a pain. “Love them or hate them, without a doubt, however independently you work, there will always be a time when a meeting pops up and just needs to be had,” says Robert Okulus, manager of Anytime Offices. This is where having a flexible meeting room solution can be extremely handy. “If you don’t want or need to be locked into paying for a fixed office, co-working space or virtual office but just need to be able to host a meeting in a professional space, then Anytime Offices has the perfect option,” he says. With offices in Randwick, Botany and Pagewood, Anytime Offices can offer a wide variety of meeting rooms that are closely situated to the city and Surry Hills (without the price tag!) and a quick taxi ride from the airport. “Many of our customers travel from overseas or Interstate to host meetings and they love the fact that they can access our meeting rooms easily, with everything laid on and ready to go, the moment they walk through the door,” says Robert. “At Anytime Offices, we pride ourselves on offering a personalised service that takes the head-ache out of meeting planning,” he adds. Easy booking process – our online booking system is easy to use and provides live view of the available spaces. You can book and pay for the room of your choice in less than two minutes. 24/7 access – if you need to host a Skype meeting out of hours or are flying in from overseas, you can have access to our meeting rooms any time of the day or night, including weekends. Flexible set-up – whether you are looking for a boardroom set-up, classroom configuration or theatre style presentation, we can set up your meeting space just how you like, anywhere from 2 – 20 people. If you have a special theme in mind for a new product presentation for example, we can dress the room to suit, providing flowers, decorations, signage and displays to create an impactful look. Larger corporate functions – at our Randwick office, we have a superb function facility that accommodates up to 40 people and is perfect for presentations, training days and product launches with a quiet and comfortable break-out area. Catering facilities – forget the soggy city sandwiches and forlorn pasta salads – at Anytime Offices, we cater with class! Whether you are looking for a healthy fruit platter, sumptuous sushi, or hearty hot meal, our food is always fresh and delicious to add a splash of pizzazz to your meeting. Top technology – with free wifi throughout (fibre optic link), each of our meeting rooms features a large LCD presentation screen, Bluetooth speakers and generously sized white-board so you can literally turn up, plug in and get your meeting started without a hitch, putting the polish on your presentation. Admin support – we offer one-to-one admin support to ensure you have everything to hand on the day. Need a quick print job or a tray of tea and coffees served, a tumbler of water topped, then one of our admin team is happy to oblige to ensure your meeting runs effortlessly and professionally. We also offer the free use of our printer and scanner and on the day, just in case you need it. Meeting rooms are available from $30 per hour or $150 for the day. 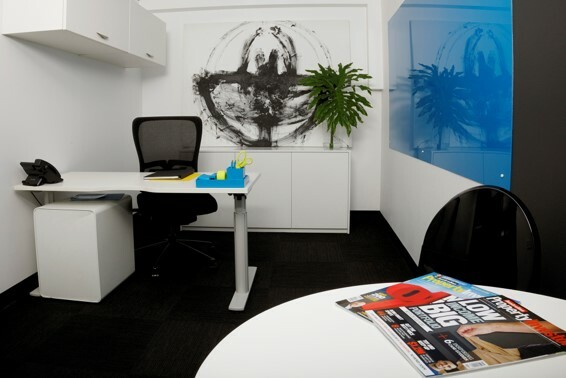 Boardrooms are available from $50 per hour or $300 for the day.